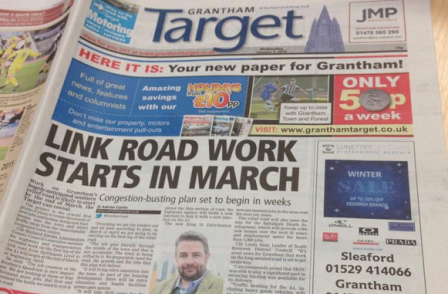 Trinity Mirror has closed paid-for weekly newspaper the Grantham Target. It is part of the portfolio of titles bought by Trinity Mirror at the end of last year when it took over Local World. 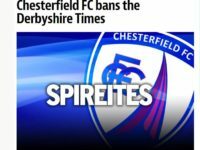 The target was launched in January 2015 priced 50p as a rival to the Johnston Press-owned Grantham Journal. A Trinity Mirror spokesperson said: “The Grantham Target was launched in January 2015 and while it was well received and initial signs were good it has not managed to gain a strong enough foothold in the local print market. It was a bold move to launch a new title in the current climate and we believe one well worth taking. “The project has given us a valuable experience and while newspaper sales have ultimately not been sufficient for us to maintain the print product, we have seen a significant growth in digital audience from the area and we will continue to serve the community online editorially and commercially. Trinity Mirror is believed to have cut at least 75 editorial jobs across the Local World group. It’s a pity that more (Scottish) football journalists are not investigating the report by the TheOffshoreGame team into corruption at the top of Scottish football. 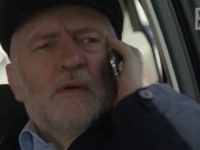 The tribute team can ban the BBC from AyeBrokes for telling the truth but they won’t stop the groundswell of opinion rising up. Come on journalists, do what you are getting paid to do rather than just accepting puff pieces from Level 5 and printing it as “news”.